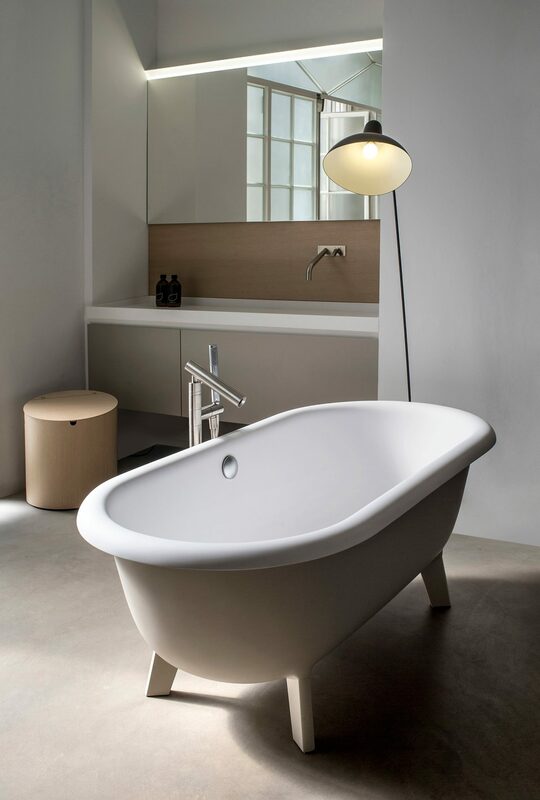 Unlike the cast iron tubs of old, Ottocento is made from Cristalplant® biobased, a smooth, soft, modern composite material that helps retain the warmth of the water. 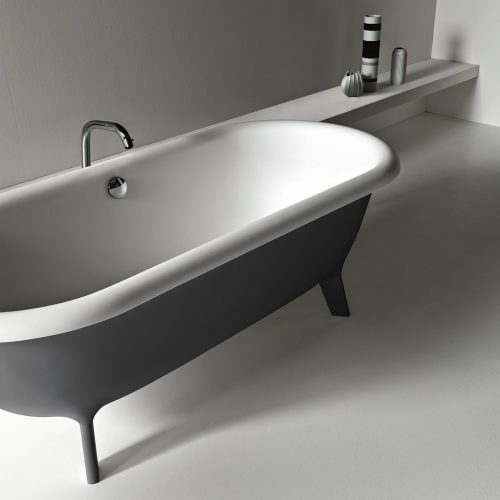 It is available to order in either our white or bi-coloured (exterior in dark grey RAL7021 or light grey RAL7044). The bi-coloured model can also be made to order in a colour chosen by the client to match any interior.